TEHRAN, Iran - Iran has summoned an American woman to return to the country and stand trial on Feb. 6 along with two other Americans still in custody and accused of spying after crossing the border from Iraq, a judiciary spokesman said Monday. Their families say the Americans were just intrepid travelers out on a hike in northern Iraq's scenic - and relatively peaceful - Kurdish region when they were arrested on July 31, 2009. The only woman among them, Sarah Shourd, was released on bail in September and returned to the United States. The U.S. government has denied the charges against them and demanded their release. Their lengthy detention has added to tensions between the two nations over issues like Iran's disputed nuclear program. After her release, Shourd said in an interview with the New York Times that the three inadvertently crossed the unmarked border because a guard of unknown nationality gestured for them to approach. A Revolutionary Court in Tehran has summoned Shourd to return and stand trial, said judiciary spokesman Gholam Hossein Mohseni Ejehi in remarks carried on the state news agency, IRNA. 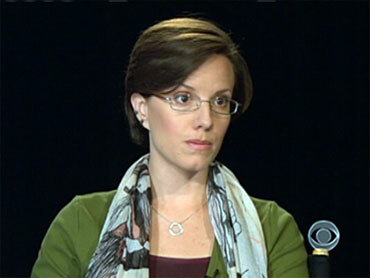 Her fiance, Shane Bauer, and their friend Josh Fattal remain in prison in Iran. Shourd, from Oakland, California, has not disclosed any plans to return for trial. Iran has warned it will seize the $500,000 bail if she does not return. Who provided the bail money that was paid as part of a deal brokered by the Gulf sultanate of Oman has never been clear. Ejehi, who is also Iran's state prosecutor, said the trial date, already postponed before, could be delayed again if the lawyer for the defendants requests more time. Initially, Tehran accused the three Americans only of illegally crossing into Iran, but later added espionage charges. Authorities have given few details to support the accusations. Tehran's chief prosecutor has claimed, without elaborating, that the Americans had "equipment and documents and received training." The three Americans are graduates of the University of California at Berkeley. Shourd and Bauer had been living together in Damascus, Syria, where Bauer was working as a freelance journalist and Shourd as an English teacher. Fattal, an environmental activist, went to visit them in July 2009. Bauer is a native of Onamia, Minnesota, and Fattal grew up in Pennsylvania. Last month, as CBS News correspondent Elaine Quijano reported, Shourd released a video of a song she wrote in prison called "Piece of Time."